Prize: Terelo also has a handy date feature and is splash resistant. 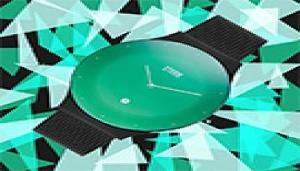 STORM's lazer green dial watch (£299). Statistics: This contest was opened by 128 and entered by 14 ContestChest.com members. 11% of those who opened the contest, entered it.